This film is a little different from the other Barbie films. 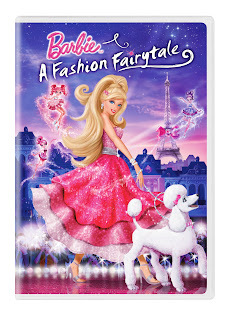 All the other Barbie films that have come before were films where Barbie was an actress. That make things more clear (to me apparently Top Ender already knew that Barbie was an actress) and actually made me love all the other Barbie films a little more! So Top Ender and I (and Baby Boy) started watching the film together and Baby Boy kept one eye on the TV whilst playing with his MegaBloks. The film is about Barbie needing to get away after Ken dumps her and she doesn't like the direction her latest film is taking. So Barnie jets off to Paris to see her Aunt, who happens to own a Fashion House. The Fashion House is going to be forced to be closed for not being, well fashionable enough. 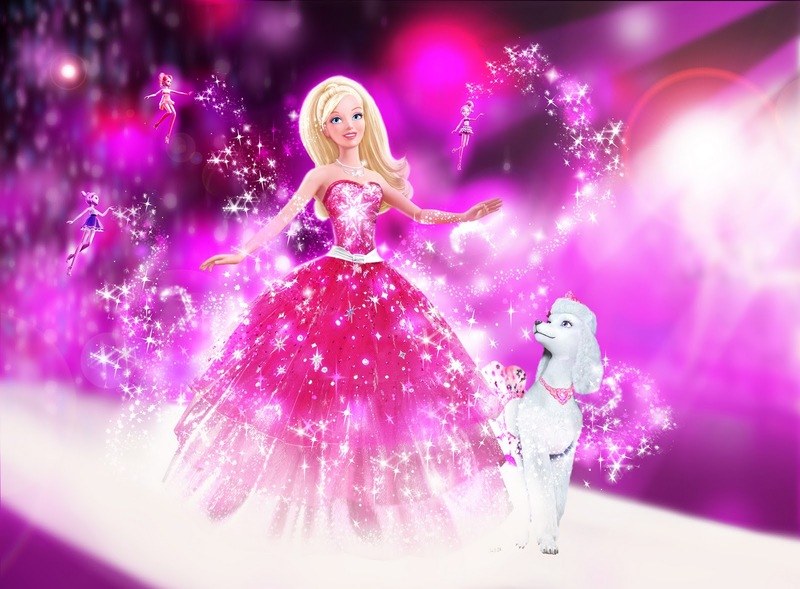 Barbie finds out that there are some Flairies who like to make beautiful things more beautiful by adding sparkle and glitter to them and so the scene is set for a sparkly happy ending. We loved watching the first few minutes and seeing the different movie posters in the background of Barbie's trailer and seeing which films we had on DVD! We watched the rest of the film and were really quite excited about the love story, the fashion and the music which were both undeniably funky. By the end of the film not only were Top Ender and I sitting on the sofa, but Baby Boy was too! There are a lot of Barbie toys out to go with the film, which I think is great. I feel that when toys tie in with the film it helps children start using their imagination to act out the film that they remember and of course to get a bit more creative. Top Ender was sent the Fashion Fairytale Barbie wearing the dress from the end scenes of the film and so far Barbie hasn't left Top Enders side, other than for her to go to School and she lets Baby Boy look after Barbie! And if I am on your list then I wouldn't mind a Barbie and Ken to play with either!